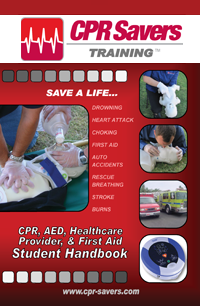 28 Pages of Information about CPR, HCP, & AED training. 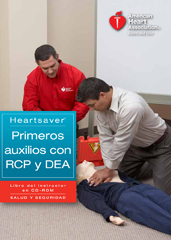 28 Pages of Information about CPR, HCP, & AED training, in Spanish. 86 pages of first aid instructions in English on one side of the book - flip the book over and you have 90 pages of first aid instructions on the other side. As we come to rely on technology in almost every aspect of our everyday lives, there is a large and ever-growing interest in how we would survive without the conveniences of the modern age. The Survival Handbook shows you not only how to adapt in such circumstances, but also how to thrive in the wilderness environment. Packed with specially commissioned, crystal-clear, step-by-step illustrations for every survival technique, from what to do if you meet a bear in the woods to how to navigate by the stars, this book also includes exciting stories of real-life survival—what happened, who survived, and how they did it. Adapted from the most recent edition of the First Aid Manual, this pocket-sized first aid guide is the only book available that is illustrated with photographs. Written in a clear, step-by-step format, Pocket First Aid covers many first aid methods, from resuscitation of conscious and unconscious choking victims, to how to deal with bleeding, shock, spinal injuries, poisoning, seizures, fractures, and bandages. The American College of Emergency Physicians has created an essential and comprehensive first aid manual with treatments and techniques explained, step-by-step and illustrated with hundreds of photographs to show how to perform them correctly. 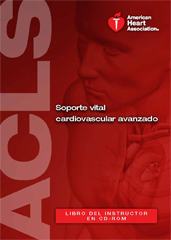 Featuring important life-saving procedures, including rescue breathing, cardiopulmonary resuscitation, treatment for a blocked airway, and other life-threatening situations, the book also provides detailed anatomical information and offers treatments for people of any age in any situation. This completely revised and updated edition features all currently accepted first aid techniques for dealing with any childhood problem. Be Prepared – while always associated with the Boy Scouts, this motto and way of life is now the focus of a major product release from the BSA. Headlining this launch is the Be Prepared book series from DK, beginning with Complete Wilderness Training, released April 2007. Though applicable to any outdoor enthusiast, these two new titles are a perfect match to the core Boy Scout values of outdoor activity, safety, and of course, preparation for life’s journeys. 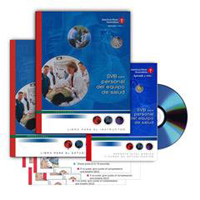 Teaching the basics of first aid through detailed instructions and full-color illustrations, this essential guide for anyone committed to safety includes responses for heat and circulatory problems; wounds and bleeding; bone, joint and muscular problems; nervous system injuries; and burns and animal bites. 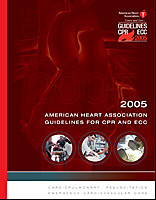 Also featuring life-saving techniques such as CPR, Be Prepared: First Aid counsels readers to contact medical help with severe injuries as well. Launching with the Boy Scouts of America Book of Knots, Boy Scout decks provide quick reference on key topics for scouts and outdoor enthusiasts. The easy-to-follow symptom charts and the descriptions of common childhood problems, written in jargon-free language, help parents figure out what might be wrong with their child, how urgent it might be, and what they can do to make their child feel better, providing reassurance and support. Filled with practical advice on what parents can safely do at home to relieve their child’s symptoms and aid recovery, this book will help them decide whether it is necessary to consult a doctor. Dr. Bernard Valman has been a pediatrician in London for over 35 years. After obtaining his medical degree from Cambridge University, he started at the Great Ormond Street Hospital for Sick Children. 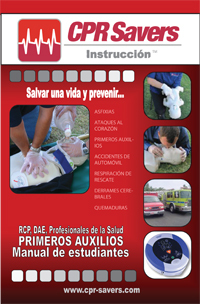 This package includes the Spanish translation of Family & Friends CPR Instructor Manual in a pdf format on a CD-Rom. The Package also includes one copy of the Spanish version of the Family & Friends CPR DVD. From Toy Poodles to Dingos, this is the definitive visual guide and ultimate reference book on dogs. From folklore to film, discover our unique relationship with man's best friend. This title gives expert guidance on nutrition, grooming, health, and first aid to keep you dog in optimum health. What's Up With My Cat? Instant answers and advice on your pet's symptoms from the world's best-selling practicing veterinarian. Keep your pet at the peak of health, fitness, and happiness. Combining information on both long-term health care and first-aid emergencies, What's Up With My Cat? 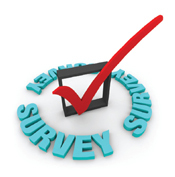 is the most user-friendly home veterinary guide available. Using easy-to-follow diagnostic charts, time scales, and maintenance routines, you can identify symptoms and choose the best course of action. Whether facing a life-threatening disease or a simple stomach upset, make sure you recognize your pet's true state of health. Showing what's inside the human body and how things fit and work together, the Human Body Encyclopedia is packed with fascinating facts and spectacular close-up photographs that make the subject accessible and fun. Covering every part of the body-from major body systems to individual cells-in language accessible to young children, this book is an inspiring new edition to the First Reference series and a valuable teaching aid for parents and teachers. Covering every aspect of horse care from grooming, exercise and routine maintenance to selecting riding gear and finding the right housing for your horse - KISS Guide to Horses is packed with insider's tips on equine health and first aid, as well as advice on how to tackle training and competition.